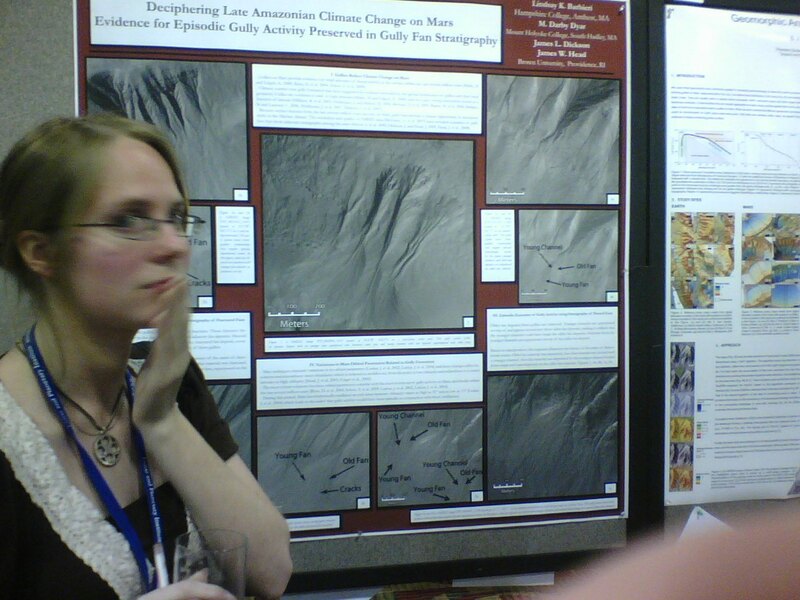 Lunar Planetary Science Conference | Conventioneers! After listening to, talking with, and presenting for over a thousand planetary scientists from all over the world I realized just how awesome this field really is. The topics of discussion ranged from meteorites to Saturn’s moons, to craters and water on the Moon to Mars atmosphere, geomorphology and MSL landing site analysis with many, many more topics in between. NASA presented, astronauts took notes and everyone involved in planetary science from China, Japan, Russia, India, Europe and the United States drank free beer and socialized while talking about the future of our space faring species. Make no mistake, I will definitely continue to be a part of planetary science and perhaps decide to acquire some higher degrees in this pretty sweet field of study.